The Cherokee Nation Court System has moved to our new location on the second floor of the Cherokee Nation Complex 17675 S. Muskogee Ave., Tahlequah, Ok 74464. Please use the western entrance (facing the high school) to the Tribal Complex. The Court’s elevator is located immediately to the right and is marked for court use. 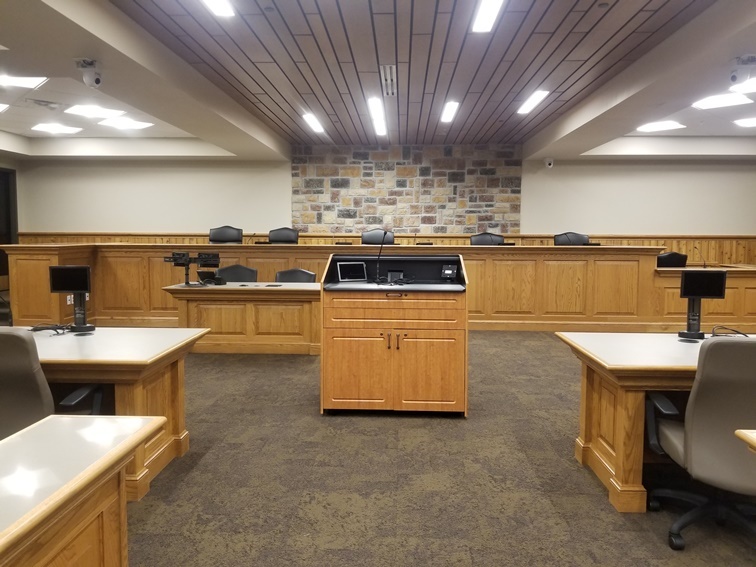 Cherokee Nation Tribal Courts are open to every person or entity within the 14 county jurisdiction of the Cherokee Nation in northeastern Oklahoma, unless specifically limited by statute. The District Court handles matters in the civil, criminal, and juvenile realms, while the Supreme Court hears cases of appeals and other matters as may be conferred by statute. Please use this map for locating the Cherokee Nation Courts. The Cherokee Nation Code Annotated is now available for purchase through the Cherokee Nation Gift Shop.